Arteta, C, M A Kose, M Stocker and T Taskin (2016) “Negative interest rate policies: Sources and implications ”, CEPR, Discussion Paper 11433. 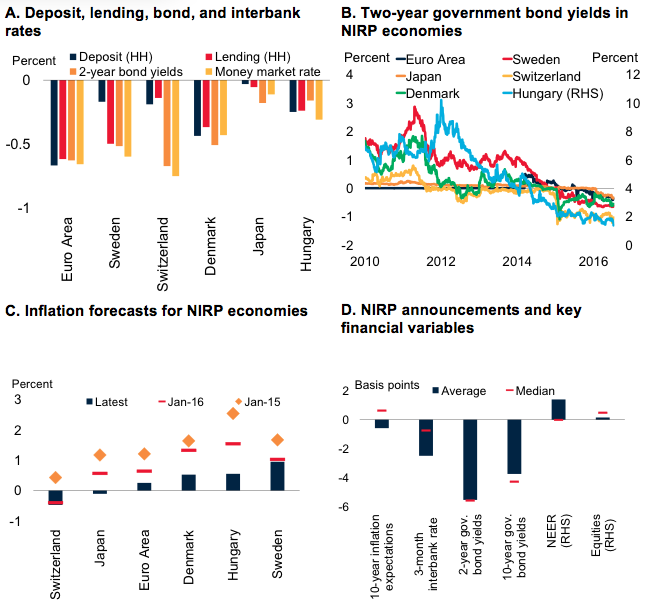 Ball, L, J Gagnon, P Honohan and S Krogstrup (2016) “What else can central banks do? ” VoxEU.org, 2 September. Bernanke, B (2016) “What tools does the Fed have left? Part 1: Negative interest rates ”, Brookings Institution (blog), 18 March. Buiter, W (2009) “The wonderful world of the negative nominal interest rates, again ”, VoxEU.org, 4 June. 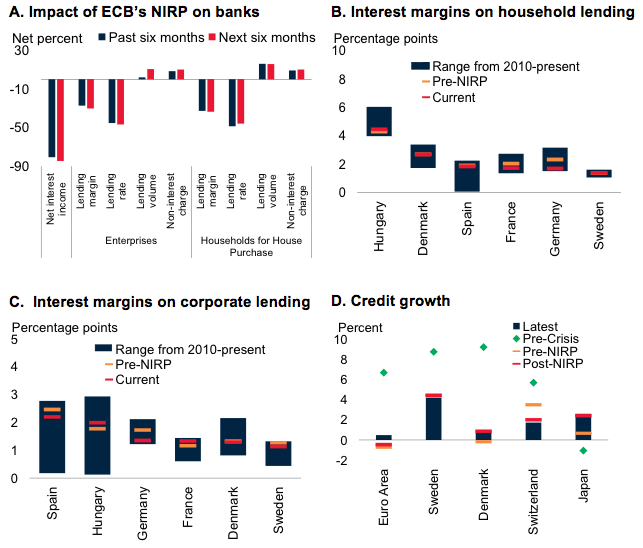 Claessens, S, N Coleman and M Donnelly (2016) “Low interest rates and banks’ net interest margins ”, VoxEU.org, 18 May. Cliffe, M (2016) “Negative rates, negative reactions ”, VoxEU.org, 26 February. Kose, M A and M Terrones (2015) Collapse and revival: Understanding global recessions and recoveries , IMF, Washington, DC. Viñals, J, S Gray and K Eckhold (2016) “The broader view: The positive effects of negative nominal interest rates ”, IMF, IMFdirect, Blog, 10 April. Waller, C J (2016) “Negative interest rates: A tax in sheep’s clothing ”, Federal Reserve Bank of St Louis, On the Economy (blog), 2 May. World Bank (2016) “Global economic prospects: Spillovers amid weak growth ”, January.